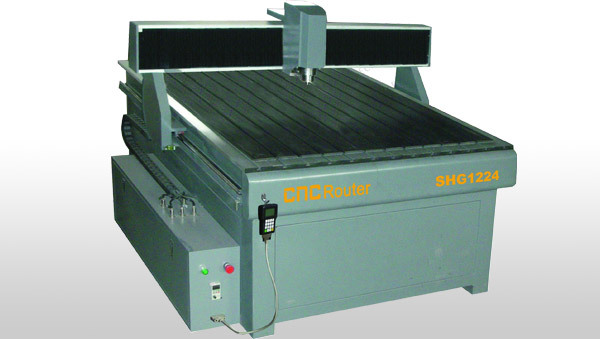 In corporate with a Hong Kong-China Joint venture company, we are started to enroll to the world of CNC Routers. Through the years experience as cnc machine manufacturer, we strongly confident that the superb technical back-up will give an extraordinary service to you. In the series of router machines, there are different type of design and specification that ultimately suit you the most. In ACG Series, the machine structures are design with cast steel and mostly with Germany ball screws transmission for x, y & z axes. ACG series suit to the most advertising industry. ACM series are built to be rugged and rigid that highly appropriate to wood working industry. The structures are all welded by hollow steel pipe and moves through rack and pinion transmission. It always equipped with Italy HSD Electro-spindle which achieve a high degree in engraving performances. ACM series may also include the vacuum table system which will enhance your initial set up. Indeed, it is worthwhile highlighted about the ACMS1325C and ACMS1224D in which the machineries equipped with the auto tool change system and branded servos system. Wood, Plastic, Aluminum, Di-Bond, Engraving Board, Fomex, Engineering Plastics, Marble, Acrylic, Perspex, PVC, Composite Panel, Copper, Alloys, MDF, etc. Accurate CNC router that can be used for sign making, mold processing, art crafts on metal sign plate, copper or zinc mold, copper, aluminum, wood, marble, MDF, HDF and much more. Whether being used to create intricate 3D architectural moldings and furniture, large-scale outdoor lighted signage or premier-quality acoustic guitars, this machine works hard to create high quality and consistent results.